THE NEXT BIG THING IS RIGHT AROUND THE CORNER, AND YOU CAN BE A PART OF IT! Do you have an amazing app idea but don’t know where to start? The tools to reach your goals may be more accessible than you think. Tech Talent South is a southern-based tech education company, and we are proud to be leading the way in sparking a passion for tech in more people in the Southeastern U.S. and beyond. From our 8-week, full-time code immersion bootcamps to our 2-day data analysis workshops, our curriculum provides you with the skills and tools to succeed. Whether you're looking to dive deeper into software or you’re an entrepreneur ready to take the tech side of your business to the next level, we’ve got you covered. TTS can be found in Asheville, Atlanta, Charlotte, Columbus, Dallas, Hartford, New Orleans, Raleigh, San Antonio, Wilmington, and Winston-Salem. Learn to code and get ready to do something <BIG> with Tech Talent South! SOME STATS WE KEEP TRACK OF IN THE OFFICE. GET THE SKILLS YOU NEED TO BUILD SOMETHING BIG! We provide access to networking opportunities, educational events, cutting-edge companies, and local entrepreneurs. Our supportive, non-intimidating, and collaborative community is filled with passionate, like-minded students on their way to doing great things. Along the way, you'll get the mentoring you need from local professionals in relevant fields and the Tech Talent South staff. Have a great idea for the next big thing? Haven't known how to start? This is when the sketching begins. The design process never begins in front of the computer. Tech Talent South will teach you how to map out and execute a plan, taking your idea all the way from inception to launch. We teach you all the languages and skills you'll need to turn your idea into a reality. From domain modeling to database management, we'll show you the back-end of web application development. And, of course, it has to look pretty. We'll show you the tricks of front-end design in order to create a great user experience. Ship your MVP (minimum viable product) to the web, get feedback, refine and iterate. Get additional web application users on board, practice your pitch, and start your business...the sky is the limit! Get a great foundation in web development with our part-time evening classes or dive right in and apply for our in-depth, full-time immersion program. Applications are currently open for Asheville, Atlanta, Charlotte, Columbus, Dallas, New Orleans, Raleigh, San Antonio, and Winston-Salem. Or, if you don't live near one of our campuses, check out our Pop Up Code Program to see if we're visiting a city near you! Scroll down for additional details and pricing information for our Code Immersion Programs. For class dates and application deadlines in each city or to apply, visit our courses page. Click here to get involved in your tech community. JOIN OUR 8-WEEK CODE IMMERSION PROGRAM AND LEARN HOW TO CODE! Our beginner-focused, 8-week code immersion bootcamps empower students with the skills to code, design, and ship dynamic web applications. You’ll learn fundamental web design languages such as HTML & CSS, the insanely popular programming language and framework Ruby on Rails, how to connect the two through domain modeling, how to utilize existing databases through APIs and how to make your application public through deployment. We not only assist our students in immersing themselves in code, but also in their local tech and startup communities. Our guest lecturers and company tour series provides students with the opportunity to shake hands with industry leaders and gain exposure to different opportunities. Ready to learn to code and do something <BIG>? 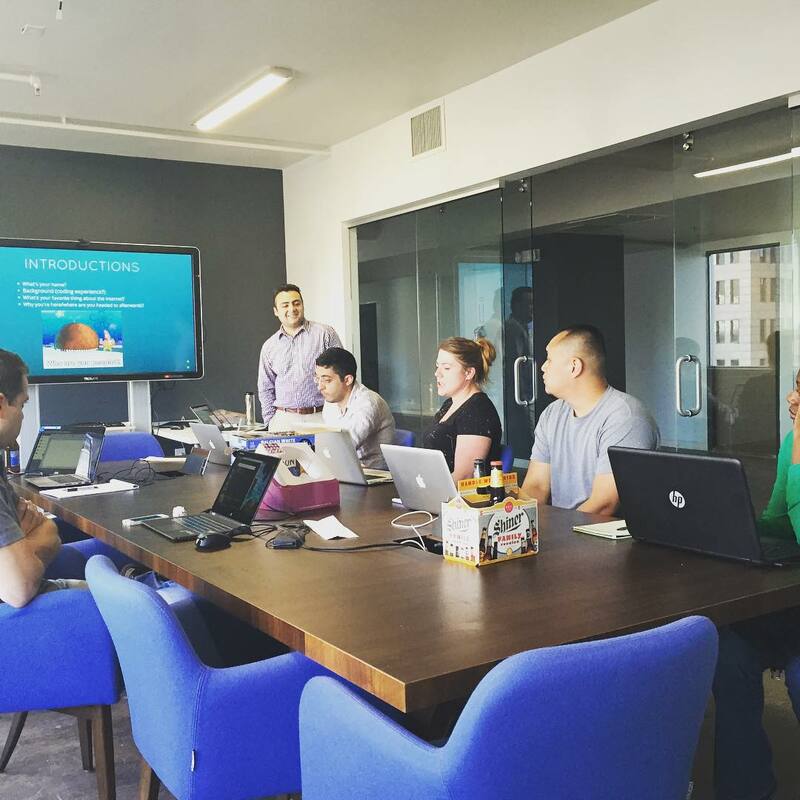 Our code immersion course could be the next step to reaching your goals. Get on board with this insanely popular and practical open source web application framework that has been used to build tools like Twitter, Basecamp, Hulu, Groupon, and Shopify. Learn how to build a website, display information, and structure a web page with HTML 5. Let the creativity flow and learn how CSS is used to paint beautiful websites and user experiences. Keep your project backed up with this version control system and learn how to fluidly work with a team using Github. Learn how to integrate your web application with tools like Facebook and Google Maps and how superior web applications are designed utilizing surprisingly simple and universal concepts used across the web. Learn the crucial skill of modeling resources and relationships in a dynamic, database-backed web application. Looking to make a change? Develop a valuable new skill set? Start a business? Or make the world a better place through technology? If you are passionate, persistent, and eager to learn, Tech Talent South is right for you! Our beginner focused, 8-week programs empower students with the skills to code, design, and ship dynamic web applications. If you know how to use a mouse and a keyboard, we’ll have you turning your ideas into reality and building dynamic web apps in no time. Let’s go! Want to give your friend or loved one the gift of learning? We’ve got you covered! Tech Talent South gift cards can be applied to any of our in-person courses or our virtual tutoring and mentoring sessions. After purchase, we'll email your digital gift card to your checkout email address. 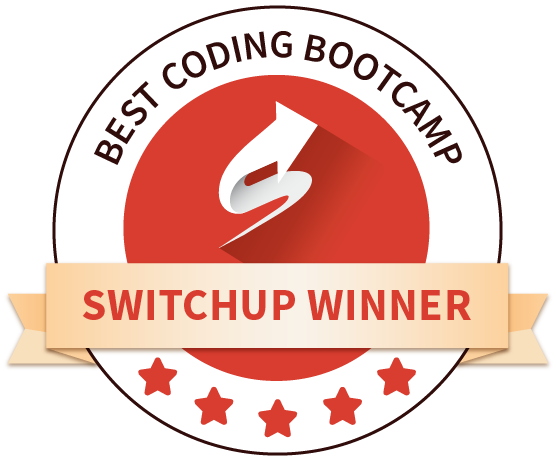 Tech Talent South is ranked one of the top coding boot camps in the South and world. Think you want to work with us or bring TTS to your city? Sweet. Drop us an email and we'll get back to you in a jiffy.